Originating from the word magazine, and the concept of a fanzine (fan magazine), zines are the do-it-yourself version of their mass-produced counterpart. Most zines have a small editorial team (sometimes only consisting of one person) and rely on office photocopiers (if they are lucky). Hand-penned sketches and counter-culture commentary fill their few pages. Advertising and distribution depend heavily on word-of-mouth, a downside on the one hand, but a powerful marketing tool for a generation that thrives on discovering the next viral hit. This small-scale approach gives zines the power to cover any topic, no matter how personal or controversial, and are therefore closely tied to alternative and fringe cultural movements. The modern origins of zines stem from the Science Fiction fanzines of the 1930s and ’40s. A few decades later zines would branch out as creators found other shared interests in comics, horror, and rock music. As rock zines like Crawdaddy! (created by Paul Williams in 1966) matured and became professional, the underground punk scene took to zines aided by the increasing access to photocopiers. Punk zines and subculture then became the breeding grounds for LGBTQ and Riot Grrrl zines. Zines are still kicking today, finding their way to readers via local bookstores, Etsy, and on blogs and websites. My exploration of zines is only just beginning, but I found a text that helped introduce me to the overall history and philosophy of zines with an emphasis on women/non-binary folk and music. DIY: The Rise of Lo-fi Culture by Amy Spencer provides an anthology as well as a timeline of the various zine movements. With each zine mentioned there is a description of how the progression of technology-aided manufacturing and distribution, and why the creator needed to publish. In addition to focusing on the creators, Spencer highlights the communities that because of their hunger for representation nurtured zines. Blogs, pirate radio stations, and DIY labels are all tied into the thesis by way of shared ethos. While I would not use it as my sole manual, this book acts as a guide to start your zine. 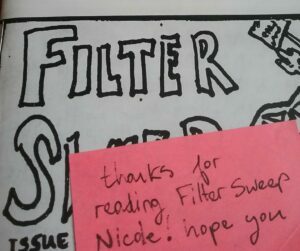 One zine that caught my fancy is Filter Sweep. This one-off publication follows Jade Payne on tour as Front of House engineer. Through the zine, she gives you a diary of her triumphs and headaches, complete with pictures and diagrams. The way she pours her heart out and shares her wisdom makes it a perfect companion to a young engineer. 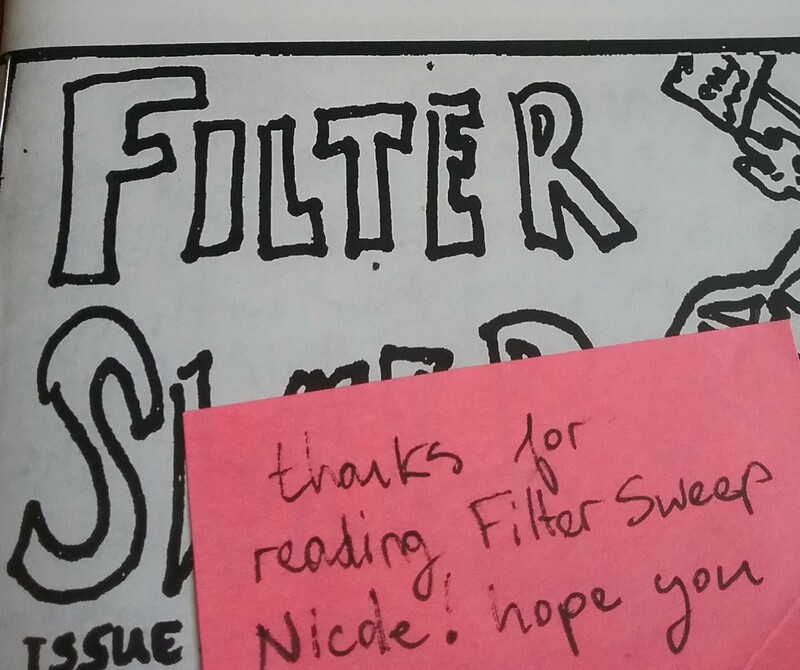 Filter Sweep is zines at their most raw: photographs are replaced by hand-drawn sketches, and each entry is written in frantic scrawl reflecting the bustle of tour life. And while you have to contact Jade directly to acquire a copy, I cannot emphasize enough how much one can learn from reading it. A more polished zine is Women in Sound by Madeline Campbell. 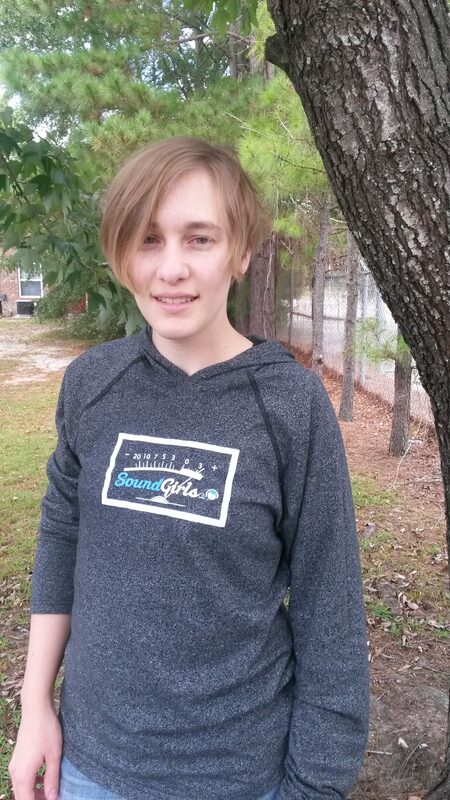 I feel Women in Sound is essentially a written companion of SoundGirls. 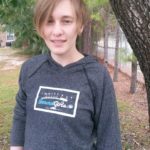 The majority of its pages are filled with interviews with amazing women and non-binary folk who work in audio and music, but there are sections devoted to past greats and helpful guides. The interviews focus on the careers of each person and how they got there, as well as their personal philosophies. They feel inclusive and insightful. Each issue is its own powerful seminar. Maggie Negrete tailored the design, and the work found within is clean and bold. Even with the staple-bound 8 ½” by 5 ½” packaging (a standard sheet of paper folded in half), the stories inside are more fulfilling than most music glossies. In finding ways to support your siblings in arms do not forget the humble zine. From birth to now, it has been the voice of those without power. It can be a low cost and personal way to share yours and others’ stories. Within the convergence of writing, art, and music, zines can be a way to say “I see you,” and “I hear you.” Like the mixtape, all you need to start is sharpie and an idea.